Jordan Peele‘s career as a director has been off to an amazing start. His first film the 2017 horror comedy Get Out was both a critical and financial success. 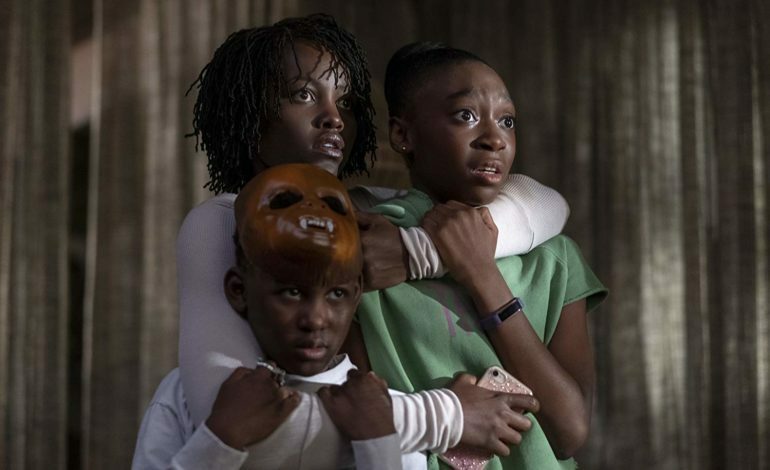 It looks like his second film Us starring Lupita Nyong’o and Winston Duke has solidified Peele’s status as a successful horror director. Us is scheduled for a theatrical release on March 22nd, but it premiered earlier this month at SXSW, where it was received an overwhelmingly positive response. According to Deadline Us is expected to be a major financial success and earn anywhere from $45 to $50 million dollars on its opening weekend alone. If this is true it will have beaten Get Out, which despite breaking box office records, only earned $33 million during its opening week. The release of Us might mean devastating news for Captain Marvel. It has been predicted that the super hero movie will have a 40% drop in ticket sales after Us enters theaters. But fans of Captain Marvel shouldn’t worry too much, because the movie has already earned at least $800 million world wide and proven its validity as a key standalone Marvel film. See Us in theaters this weekend and check out the trailer below.